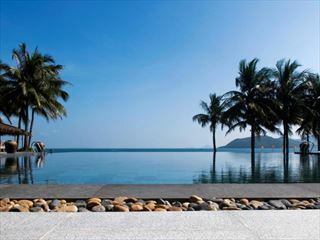 Located on the main promenade in the centre of Nha Trang, this hotel is a good value choice in this popular beachside resort. 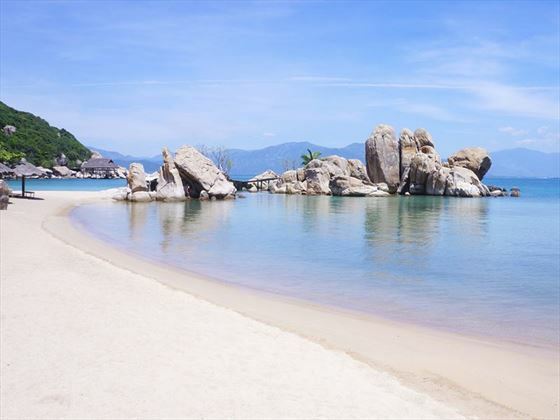 Vietnam emerges as a beach resort in Nha Trang, bringing everything you’d expect from a coastal paradise – from diving to pristine shores. 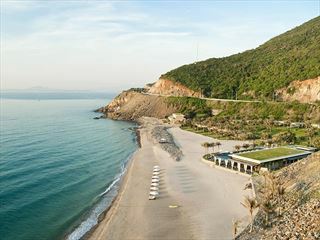 While it may lack the cultural vibe of Hanoi, Nha Trang is a truly breath-taking destination. 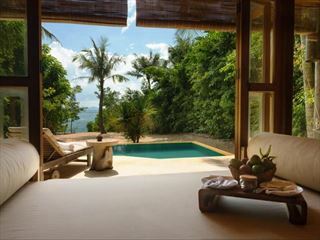 Take boat trips, go hiking through the backdrop of rugged mountains, or simply revel in the view – it’s unforgettable. 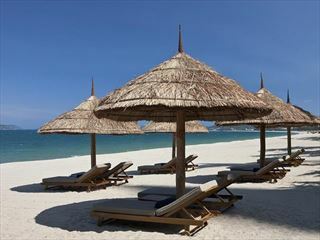 Nha Trang is essentially a bustling Vietnamese city that morphs into a beach resort as you reach the coast. 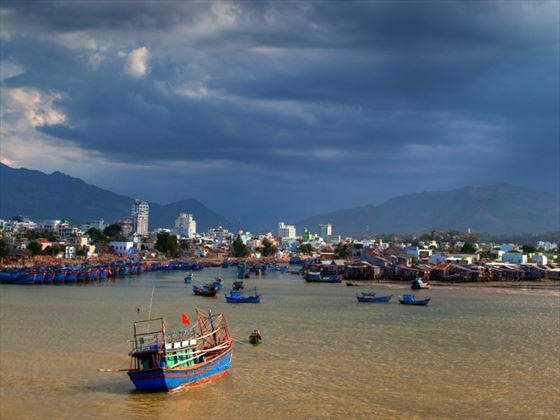 It is the capital of the Khanh Hoa Province, found on the south central cost of Vietnam. 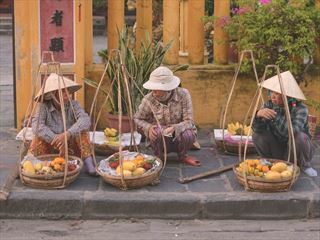 The city is Vietnam’s very own beach paradise with beautiful stretches of pristine sand and a jaw-dropping mountainous backdrop to take the breath away from even the most jaded traveller. 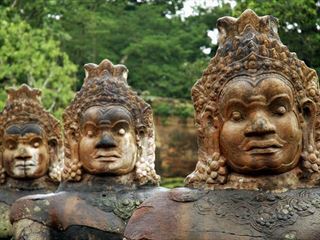 As with all beach resorts in southeast Asia, you’ll find plenty of touts, but generally the atmosphere is friendly and the variety of things to do means it’s impossible to get bored. Still nothing beats stumbling across the little restaurants serving authentic Vietnamese food and then, as the night deepens, enjoying the rumbling bars and clubs. It’s this combination that has made Nha Trang a firm favourite for those seeking a fun nightlife. Alternatively, you can visit the nearby island that houses Vinpearl Land, an amusement park that doesn’t know the meaning of the word ‘culture’ but provides plenty of entertainment anyway. 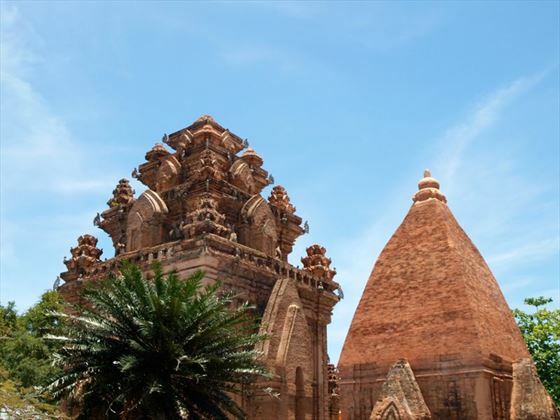 There are a wide variety of things to see and do whilst staying in Nha Trang. Check out our travel guides for some of the highlights, top tips and travel inspiration from our Tropical Sky Experts, along with some essential information you may need for your vacation. 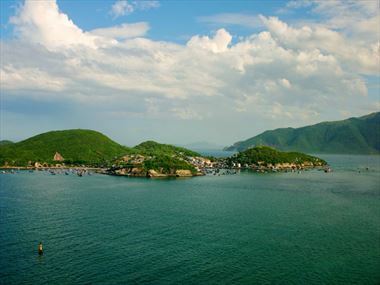 One part vibrant city and one part gorgeous beach resort, Nha Trang is a beautiful place with plenty to explore.